With the current PlayStation Eye sporting only a standard video camera, Sony will have to produce a new peripheral capable of obtaining distance or depth information. The application lists infrared or stereo cameras as possible technologies to accomplish this. Laugh at the Wiimote, then copy it. Now, they copy Kinect. Sony is out of original ideas. Welp, the Move is way more accurate than the Wiimote so one can only hope that this thing is way more accurate than the Kinect. Was Sony ever a leader of anything when it comes to gaming? They just look at the competition and "fix" what they see is wrong. Came here to say this but you said it better than I would have. Implying Microsoft didn't "clone" EyeToy. Sony should have reacted a lot earlier imo. Sony have never done ANYTHING original, hardware wise. They have literally never had a single aspect to their controllers that wasn't stolen directly from Nintendo. Well, except for the horrible placement of sticks. I still can't believe they've stuck to that for three gens now. Sounds like a patent nightmare in the making. Are you sure this isn't for the Eyetoy? I sure MS has no patents in this area .. should be no problem for any competitor to copy. They could put all those resources into finding ways to attract people to their newly released handheld, the PS Vita. It's a pretty cool portable and there is potential there if they can find a way to get people to adopt it. I mean, they released it into a market where smartphones and tablets are taking control and where the 3DS sort of covers the rest. That's an idea, you know. Actually fight for a market share with a product you JUST RELEASED. Or make SonyKinect, because they haven't lost enough money in their games division just yet. Taiso? Yeah, he's dead. He's all messed up. Just got my hands on the Vita, and I am impressed by it from the sheer ability it has. I haven't dived deep into because I want it all set up with my account and things like that, but it is pretty freaking impressive. The touch screen is smooth, the buttons, are a tad small, but understandable. The screen, WOW, that is about the best thing you can say. I can't wait to go home and start playing some Uncharted, and I really can't wait for the 6th of March because I will get to see full well how the Vita does Remote play with the baseball game. The Japanese have contributed nothing this gen. They really haven't. If you look at the amount of things they put out even on the PS2 compared to the PS3, they didn't do crap. The lack of RPG's is saddening. On both the PS1/PS2, I could go to a game store, and look around and find a new RPG I haven't tried yet, but here we are, with the PS3 and nothing. Just nothing. Sometimes you have to follow a good idea and not to invent a new one. I think it is a good move. I think Kinect represents a significant enough advance over the fairly simple Eyetoy that we can say it was certainly not a clone of the eyetoy. Kinect was designed to take on Nintendo's vision of motion control. Eyetoy did some cool stuff, but it was never designed for the motion control revolution we face now. You and me both, pal. The Playstation controller is the single worst controller I've ever used. It's the main reason I've avoided all of the Playstations, despite owning PS 1 and 2 (for a few can't miss games). I wouldn't be surprised if they called it some variant of Eyetoy. But it's clearly designed to take on Kinect and be more than the Eyetoy. The Eyetoy is a glorified webcam. 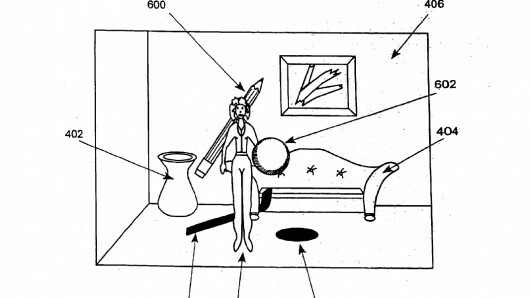 What this patent is about is depth perception and what it makes possible, which the eyetoy is incapable of. Sometimes you have to follow a good idea and not invent a new one. I think it is a good move. They'd better try to innovate, to beyond what Kinect is, to differentiate, or they'll always be a Kinect also-ran. This generation, more than any other, saw the Western developers take control of the RPG market by establishing their brand of fantasy as the dominant form. People were just ready for open world exploration and they completely keyed on that. WoW really blew the doors open on players' expectations and they've adopted a lot of those game design philosophies in the other big offerings of the current era. When you factor in the emergence of the multiplayer FPS as the top draw due to the dudebro audiences, Xbox and, to a lesser extent PS3, found their own casual market cashflow the same way Nintendo found theirs in non-gamers. That doesn't explain the success of Skyrim, which is a very intensive experiene, but sometimes all a game needs to attach itself to a large percentage is good buzz and good marketing. It probably helps that WoW had so many players, many of them casual audiences. Skyrim looked like a step towards a more gritty type of fantasy for these people, and gaming trends always seem to veer from the wild and colorful to the 'realistic' as audiences mature and evolve. Also, it probably helps that people are reminded of the LotR movies when they see the commercials and hear the music. That movie trilogy is still fondly remembered by audiences that casually game. That, conbined with Japanese frontrunner Square-Enix's massive missteps with Final Fantasy XIII and Final Fantasy XIV hurt the JRPG's appeal to Western audiences (the biggest consumers in the hobby.) JRPG audiences were shrinking largely because the companies decided to shift focus to ensnaring new markets. This is probably the most financially driven generation in gaming history. JRPGs used to be one of the representative genres of the hobby. Now it's a niche because they simply don't invite casual audiences and the focus isn't on them. This could really be argued of Japanese development altogether. It still astonishes me that Japanese games no longer represent the pinnacle of the hobby's offerings. I never thought I'd see the day, but here we are. I still love Japanese games, but now there's plenty of Western fare that equals it. I have my doubts that this will ever see the light of day. Seems to me that trip-A JRPGs are very expensive to make, and also haven't been financially remunerative in recent times to the companies that made them. Square forgot why those games sold. They moved away from distilled good gameplay and rich story and substituted higher quality FMV and the like. Visules are candy. Gameplay is meat. People will pay for gameplay, despite visuals (Minecraft). Not so the reverse.